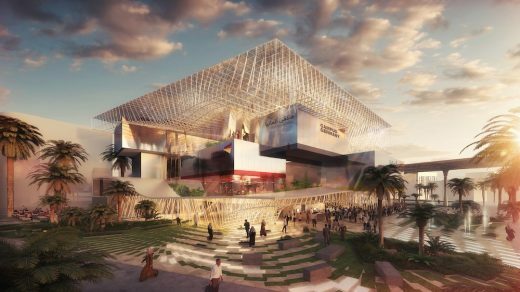 LAVA’s design for the German Pavilion Expo 2020 Dubai is a vertical campus of nature and technology, taking cues from the local architecture and Germany’s history of outstanding lightweight pavilion design. Demonstrating the Expo theme, everything from intelligent use of local climatic conditions to materials reuse to construction is sustainable. 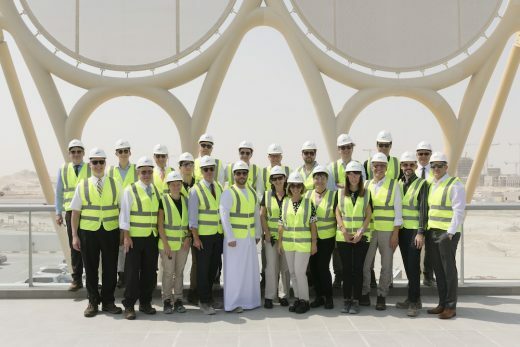 On behalf of the German Federal Ministry of Economy and Energy, Koelnmesse GmbH is responsible for the organisation and operation of the Pavilion, with Consortium German Pavilion EXPO 2020 Dubai facts and fiction GmbH and ADUNIC AG (concept design, planning and implementation) and LAVA (architecture/spatial concepts). The airy construction is an efficiently stacked volume of space. A visually striking freeform roof encloses a spacious volume and an intelligent ensemble of interlinked floating cubes housing exhibition and event spaces. The contrast of enclosed air space and immersive exhibition experiences generates an exciting exchange between interior and exterior spaces. The open structure is formed from abstract elements and surprising materials, a composition of repetition and differentiation. The concept continues German innovation in Expo pavilion design by using new ways of forming space – from Mies van der Rohe’s Barcelona 1929 to Frei Otto’s Montreal 1967 to Fritz Bornemann’s spherical concert hall Osaka 1970. It also responds to the local climate and references the local courtyard house with closed exterior facade and rooms oriented towards an inner airspace. ROOF An opaque trapezoidal single-layer ETFE membrane creates a large volume of space with a minimal enveloping surface and highly efficient material. The metallic skin lets light rays into the interior through many small openings, similar to sunlight penetrating forest foliage, creating a continuously changing visitor experience. Mirror surfaces reflect direct sunlight against the roof skin, a dynamic interplay of light. At night, a field of LED lights integrated in the ceiling make the building radiate from within. Supported by vertical steel cables, the cloudscape roof keeps out the heat and controls light and temperature in the atrium. It reduces production energy, optimises resources by weight savings and creates the technical conditions for a pleasant visitor experience. ATRIUM A central atrium, a green, open space, connects all visitor areas and allows many surprising perspectives. 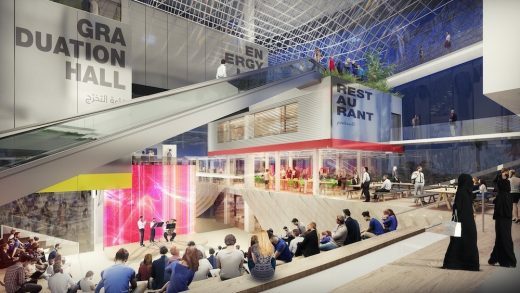 The composition of exhibition spaces, event area and restaurants are interwoven through these manifold visual relationships. The pavilion tour brings visitors continuously onto the terraces of the open atrium, providing an overview of their location within the pavilion, the variety of topics and social interaction with other visitors. Native German plants hang from the terraces and roof creating comfort in the atrium and special light. 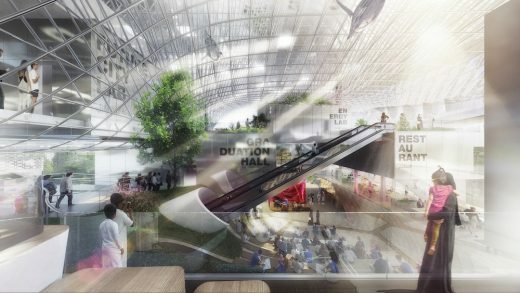 LAYOUT The vertical campus courses between a landscaped layer on the lower two levels and the cloud roof. The rear east is a vertical backbone with technical facilities and service functions, and the front western side houses exhibition and restaurant spaces layered horizontally. The sequence of stacked seemingly floating building elements is a journey through the campus learning experience – from enrolment to learning curriculum to graduation. 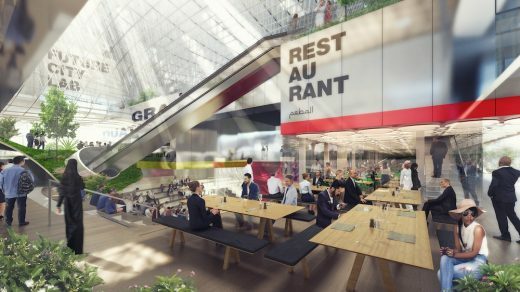 The ‘laboratories’, purposedesigned for exhibition, performance and dining, are grouped around the atrium. 1. Material-optimised construction based on nature’s geometries. 2. Passive energy saving measures applied at the very outset in the design – for example the stacked building elements not only trap vertical airspace, but also minimise direct sunlight creating a sheltered atrium with minimal solar input and optimised climate. 3. Intelligent arrangement creates different spatial situations, not through complex technology, but rather through digitised production processes. 4. Minimisation of grey energy and operational energy. 5. Graduated climatic zones of individual areas allow reduced energy use, whilst supporting the diversified room experience for visitors. 6. Reuse of building parts and materials – using algorithms to reduce waste. “The building itself is part of the exhibition, a tool for connecting people and content, both a model of sustainability and a place to discover German innovations and solutions on this important topic,” added Christian Tschersich, Project Manager at LAVA. The Expo 2020 theme is “Connecting Minds, Creating the Future” and it runs from 20 October 2020 to 10 April 2021. 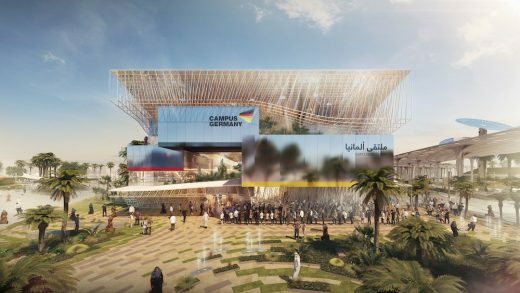 In a key milestone on the road to EXPO 2020 Dubai, Germany has decided who is to design and build the German Pavilion. 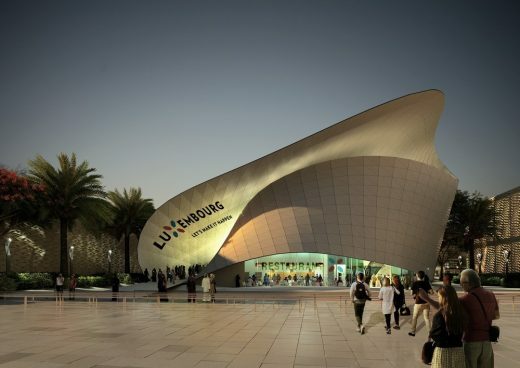 The bid was won by a consortium comprising Cologne-based agency facts and fiction and Swiss construction company ADUNIC, with architecture to be designed by Berlin firm LAVA. 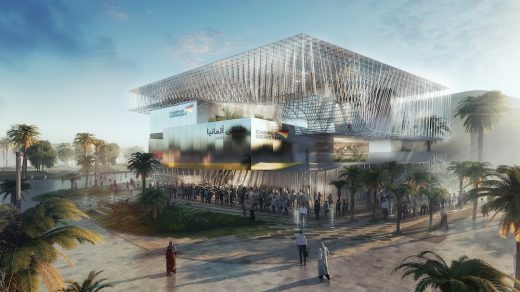 An EU-wide notice of tender was published back in September 2017, inviting teams to apply to design the concept and to plan and build the interior and exterior of the German Pavilion for EXPO 2020 Dubai. 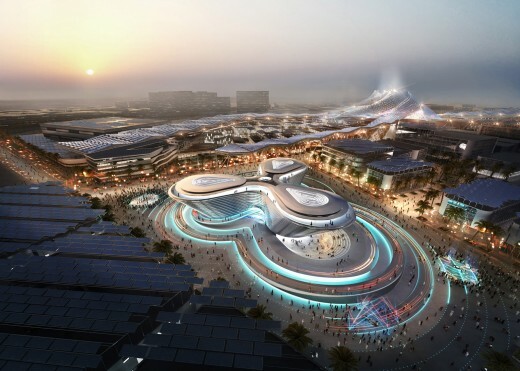 The brief also included the technical management of the pavilion during the World Expo from 20 October 2020 to 10 April 2021 and the dismantling of the pavilion after the event. Initially, applicants were asked to draw up a high-level concept. This was followed by a second phase, in which a 17-member selection committee (made up of representatives of various federal ministries, trade/industry associations and experts on Expo and regional matters) chose five interdisciplinary teams to put through to the next phase – the design of a detailed concept for the German Pavilion. “The awarding of the contract to facts and fiction and ADUNIC marks the end of a ten-month process. 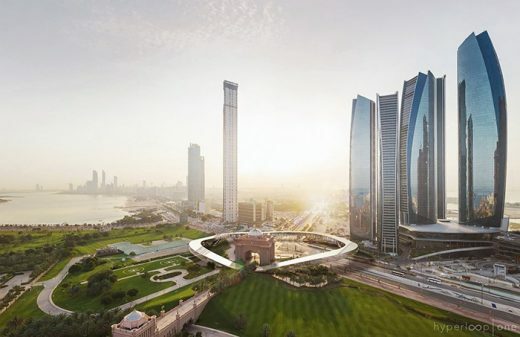 We are happy that things can now progress and building work can start on our plot in Dubai next year,” says Dietmar Schmitz from Germany’s Federal Ministry for Economic Affairs and Energy. As Commissioner General of the German Pavilion, Mr Schmitz is responsible for the country’s presence in Dubai. He is head of the “Policy on fairs and exhibitions, expo participations” division at the Ministry and has been involved in World Exhibitions across the globe over the course of many years. The two partners in the German Pavilion consortium are no newcomers to Expo either. 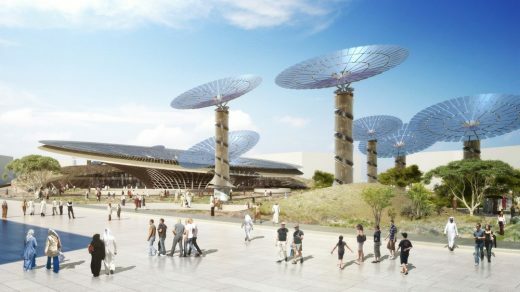 facts and fiction designed the Monaco and Kazakhstan pavilions in Milan in 2015 as well as the German presence at EXPO 2012 in the Korean city of Yeosu. ADUNIC built a number of the pavilions in Milan in 2015. New to Expo is LAVA, an international team of architects with offices in Berlin, Stuttgart and Sydney and a wealth of experience, having worked on a wide variety of major projects around the world. 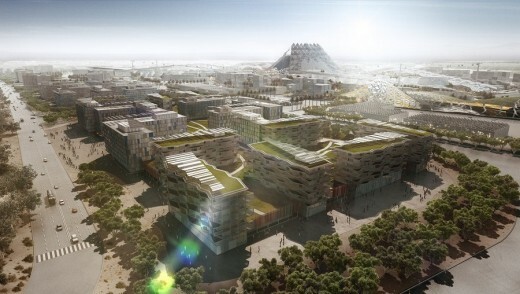 In the Middle East, for instance, LAVA helped plan the Masdar eco city in Abu Dhabi and also designed the architecture for the King Abdulaziz City for Science and Technology in Riyadh, Saudi Arabia. facts and fiction and ADUNIC were selected on the basis of the tender criteria. 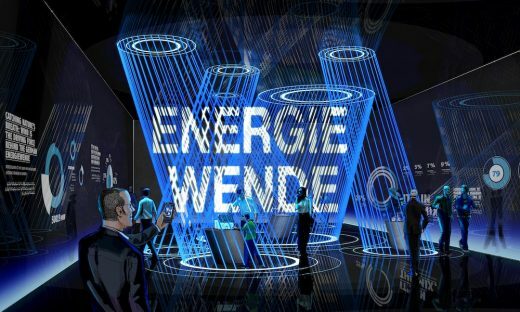 The main requirement was to take the EXPO theme of “Connecting Minds, Creating the Future” and the sustainability subtheme chosen by Germany and translate them into a pavilion concept that will grasp visitors’ interest and hold it from start to finish while also creating a seamless marriage between the pavilion’s architecture and its content. But all has not yet been revealed. The concept will not be presented in Germany until a press conference at Koelnmesse in Cologne on 4 September 2018, to be followed by a second press conference at the Steigenberger Hotel Business Bay in Dubai on 19 September. 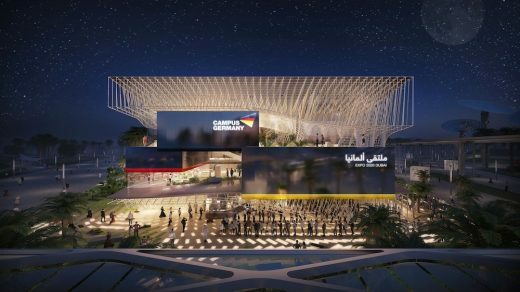 Koelnmesse is the company that will be organising and running the German Pavilion at the 2020 World Expo in Dubai on behalf of the Federal Ministry for Economic Affairs and Energy. The world’s tallest commercial tower, part of the Jumeirah Lakes Towers development. 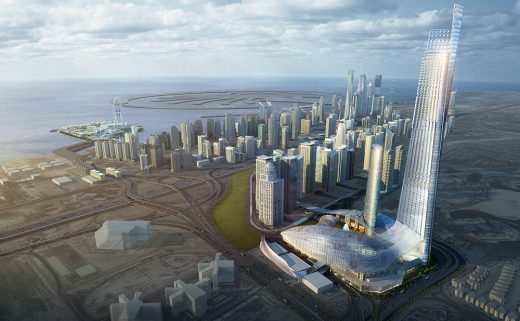 The tower is to be completed in advance of Expo 2020 Dubai.